With donations to help those affected by the recent California wildfires arriving from around the country, trucking fleets are bracing to help deliver supplies for relief efforts. For example, he noted that CTA member companies are partnering with the American Logistics Aid Network, which is organizing the massive logistics effort to get supplies to the fire victims. The American Logistics Aid Network was formed in 2005 after Hurricane Katrina devastated New Orleans. 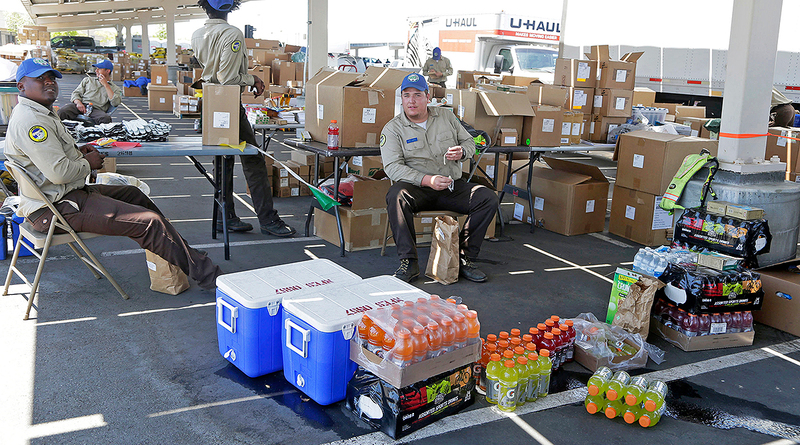 It provides free disaster logistics relief before, during and after catastrophic events. “Some of it is just the scale of the destruction, trying to make sure that the nonprofit community can get the items they need — and such vast quantities — into the area. That’s one of the challenges the organizations are facing now,” American Logistics Aid Network Executive Director Kathy Fulton told Transport Topics. Fulton noted that with many people expected to remain in temporary housing for extended periods with limited space to store the fundamentals, relief efforts initially will focus on the basics — water, food, clothing and comfort items — until victims can begin rebuilding efforts in their communities. The so-called Camp Fire in Butte County, Calif., is the most deadly and destructive wildfire in state history and also ranks as one of the most lethal wildfires in the nation’s history, Bloomberg reported. The fire has damaged more than 150,000 acres, burning nearly 13,000 structures, and is not expected to be fully contained until Nov. 30. In Southern California, the Woolsey Fire near Los Angeles and Ventura Counties burned nearly 100,000 acres and destroyed or damaged more than 1,800 structures. The fire was expected to be fully contained by Nov. 22. Heavy rains moving in Wednesday through Friday were expected to help firefighters gain control of and eventually extinguish the blazes. However, the National Weather Service warned that rainfall combined with scorched and damaged land could cause widespread flooding and mudslides, making conditions even more challenging for aid workers and displaced residents.